Every year Ceramic Showcase chooses a nonprofit to support. This year’s charity installation theme is Pet Bowls. 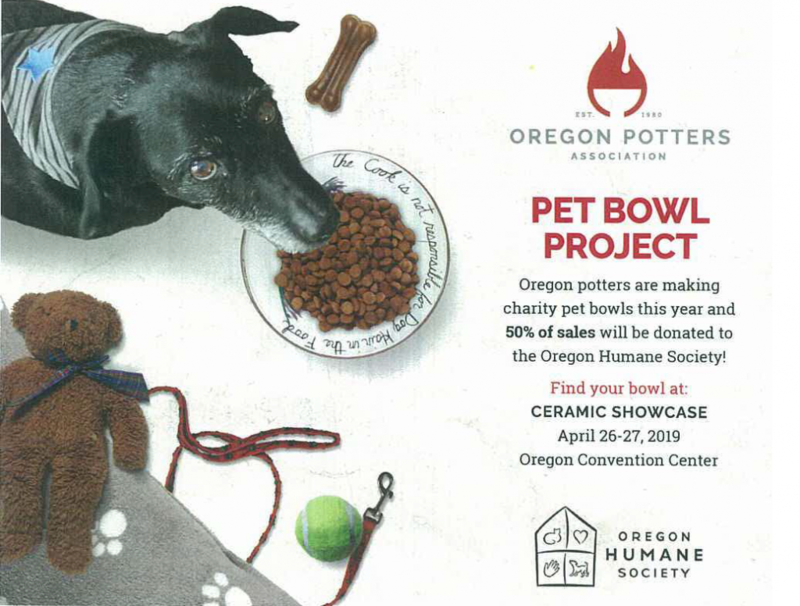 Proceeds from the sale of pet bowls will be going to the OPA Clay in Education Fund and the Oregon Humane Society! The Oregon Humane Society will be on hand Saturday April 27 to say Thank You!